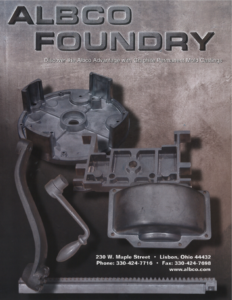 Albco Foundry & Machine provides castings to a variety of industries in any shape, size, non-ferrous material, rough cast, rough machined and machined complete. We produce high-quality castings versatile for any type of need and industry. You can trust Albco to provide you with the best casting practices in the business.